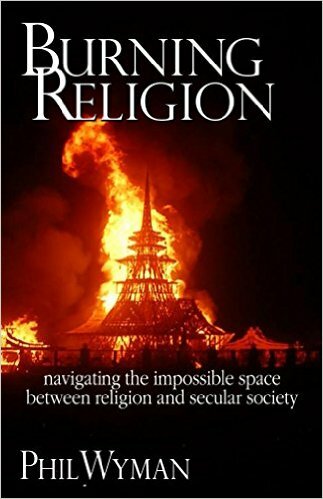 Burning Religion is certainly my most ambitious literary project to date, but it would not have been conceived without the long hard years of working as a pastor in the rather (in)famous little city of Salem, Massachusetts. Almost 20 years of monthlong Halloween entertainment and outreach projects, and befriending the Witchcraft community in Salem helped set the stage for learning to navigate across relationships filled with all kinds of theological and practical disagreements. It was in these times that the tools for the theoretical work of living at peace with people very different from myself was forged. Now, the story of those 20 years of working in the most famous Halloween setting in the world is being told. A short history of Halloween, twenty years of lessons learned, and the principles discovered are all put together in this one passionate book. This is where I lay out my heart, and suggest that the church has been missing one of the best opportunities for dialoguing with our world about spiritual truths. The Reformation of Halloween: rethinking Christianity’s response to Halloween will give you hope that there is more light in the places you called dark than you could possibly have imagined.